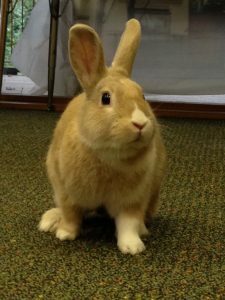 Join us for a meet and greet between 2 and 3 pm with one of our wildlife ambassadors and discover its habits and adaptations during this live animal observation with a River Legacy Naturalist. This month meet Hunny Bun our rabbit. FREE. No RSVP required. River Legacy Living Science Center is closed for our off-site fund-raising event. Nature School and Field Investigations will continue on a normal schedule. 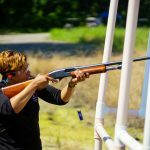 Support River Legacy’s educational programs and enjoy a fun day of sporting clays, competition, food and fellowship during our 10th annual Clay Shoot at Defender’s Outdoors Sporting Clay Ranch in Fort Worth. Enjoy a morning shoot of 100 clays on one of two beautiful courses followed by lunch, auction and awards. To learn more about sponsorships contact Becky Nussbaum at 817.860.6752, ext. 120. Click here to get event details. 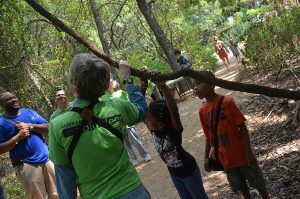 Conservation Saturdays are a fun and engaging way for families to learn and take part in various aspects of environmental conservation. Monthly activity will be posted soon, but may include trail clean-ups, tree plantings, crafts and animal presentations. Space is limited. Please RSVP to 817.860.6752. Join us for a monthly speaker series sponsored by Callaway Financial Services. This month Robert Blake of Bit By Bit Computer Consultants will discuss “Use With Care, Tips to Avoid Cyber Crime, Phishing Scams and Ransomware.” A suggested tax-deductible donation of $20 supports River Legacy Foundation’s mission of connecting children and families to nature through education, recreation and conservation. To RSVP, call 817.860.6752, ext. 102. Explore the nature trails surrounding the Science Center on a family-friendly guided Nature Walk. FREE. Space is limited. RSVP to 817.860.6752. Nature Walks are usually held the fourth Saturdays of every month. River Legacy Living Science Center will be closed Monday, May 27 for the Memorial Day holiday.